HOME > CASINO STRATEGY > How Much Time is Too Much Time in an Online C..
Online casinos provide a wealth of entertainment for people around the world. Much like their brick and mortar counterparts, there is an opportunity to win big and lose big. 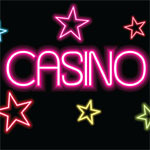 Some people are able to spend an entire evening online at their favorite casino and break even at the end of the night. Some people cannot be inside the virtual walls for more than ten minutes without losing more money than they should. 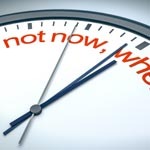 So the answer to the age old questions, "How much time is too much time in an online casino" varies by personality and by your life outside of virtual wagering. There are a number of variables that come into play when you are a member of an online casino. Are you spending more time online than you are with your family? Are you spending more money than you can afford, trying to win a bigger jackpot?